TransWorld Motocross is the epicenter for all things motocross. 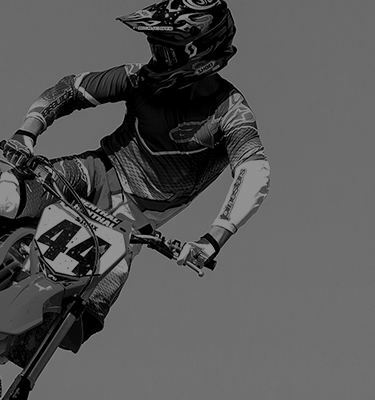 From epic freestyle air to dirt blowing racing, capture the essence of any Motocross lifestyle and combine it with premium device protection from Skinit. TransWorld Motocross and Skinit have collaborated to bring you official TWMX designs to step up any device style and protection. From the dirt tracks to the desert dunes, keep any phone looking tuned up no matter where you ride. From durable phone cases to auto-grade phone decal skins, buy a Skinit x TWMX phone case or skin that fits your riding style. Clear any jump and step up your game. Show off your Motocross and gaming passion with TWMX decal skins made for any Nintendo, Xbox or PlayStation console & controller. Get geared up for any starting gate and personalize any setup with premium TransWorld Motocross Skins engineered for any MacBook, laptop, or tablet. Rev up music-listening style to new heights with vinyl decal skins featuring official TWMX photography and logos. Built for the newest headphones and smart audio speakers. Add a finishing touch to any electronic gear with TWMX Skins for OtterBox & LifeProof Cases and popular Apple accessories.